Houses. 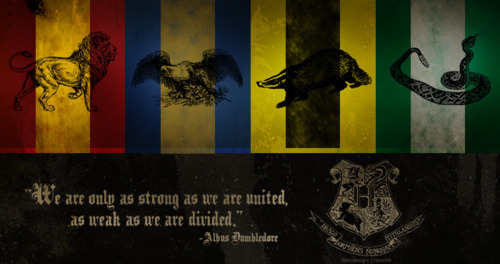 “We are only as strong as we are united, as weak as we are divided.” - Albus Dumbledore. Wallpaper and background images in the 해리 포터 club. This 해리 포터 fan art contains 애니메이션, 만화, and 만화책.